Three people can be credited as inventors of packet-switched networks, thus laying foundations for Internet: Leonard Kleinrock, Donald Davies and Paul Baran. Leonard Kleinrock (born on 13th of June 13, 1934, in New York) is a famous American engineer and computer scientist, who made several important contributions to the field of computer networking, in particular to the theoretical side of computer networking. He also played an important role in the development of the ARPANET. Kleinrock is from a poor family of Ukrainian jewish immigrants. After graduating from the Bronx High School of Science in 1951, Kleinrock's father, asked him to stay in New York to help support the family. So Leonard wrote letters to "every chamber of commerce in the country," and asked for scholarship opportunities in their towns. Kleinrock worked as a technician at a cousin's shop and spent 5 and a half (instead of 4) years, taking night classes at New York City College, where in 1957 he received his BEE (Bachelor of Electrical Engineering) degree. In 1958 he went to MIT, to work on his PhD for the best guy at MIT—Claude Shannon, the creator of Information Theory and the mathematical concept of entropy, not to mention the resurrector of Boolean algebra as a useful way for describing data. "Brilliant man," Kleinrock says. "My role model then and now." 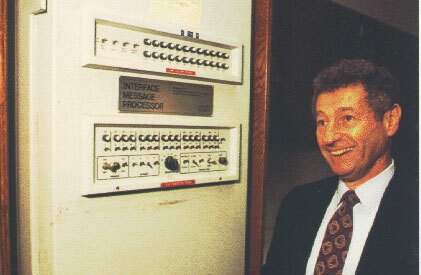 In MIT Kleinrock received a master's degree (1959) and a Ph.D. (1963) in Electrical Engineering and Computer Science. In 1961 he published his first paper on digital network communications, Information Flow in Large Communication Nets. He developed his ideas further in his 1963 Ph.D. thesis, establishing a mathematical theory of packet networks (packet switching), and then published a comprehensive analytical treatment of digital networks in his book Communication Nets in 1964. After completing his thesis in 1962, Kleinrock moved to UCLA (University of California at Los Angeles), and later established the Network Measurement Center (NMC), led by himself and consisting of a group of graduate students, working in the area of digital networks. Many of Kleinrock's initial ideas came from brainstorming about the best way for students and researchers at MIT to most efficiently share computer time. "Computers burst data, they transmit then they stop a while, while they're thinking or processing or whatever. And in those days data communication lines were really expensive," said Kleinrock. "The idea was, don't dedicate a resource to somebody -- when I was sitting there, scratching my head, that machine was idle, I'm not using it. You want to do it in dynamic fashion: whoever needs it gets it now. If you're not using it, let somebody else in." When in 1966, Lawrence Roberts (a colleague of Kleinrock from MIT) joined the project of developing the ARPANET, he used Kleinrock's Communication Nets to help convince his colleagues that a wide area digital communication network was possible. In October, 1968, Roberts gave a contract to Kleinrock's center as the ideal group to perform ARPANET performance measurement and find areas for improvement. On a historical day in early September, 1969, a team at Kleinrock's NMC connected one of their SDS (Scientific Data Systems) Sigma 7 computers to an Interface Message Processor (the first switch), thereby becoming the first node on the ARPANET, and the first computer ever on the Internet (see the lower photo). As the ARPANET grew in the early 1970's, Kleinrock's group stressed the system to work out the detailed design and performance issues involved with the world's first packet switched network, including routing, loading, deadlocks, and latency. Today many individuals and companies seek extra security while accessing the Internet, so they implement the use of a VPN (virtual private network). A VPN aids in protecting online data and identity, so using a VPN has become much more common. Kleinrock later published several of the standard works on the subject, continued to be active in the research community, and published more than 200 papers and authored six books. His theoretical work on hierarchical routing, done in the late 1970s with his student Farouk Kamoun, is now critical to the operation of today's worldwide Internet. 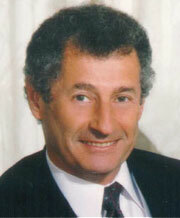 Leonard Kleinrock has received numerous professional awards. He is a member of the National Academy of Engineering, an IEEE fellow, and an ACM fellow. He is the recipient of the Marconi Award, the L. M. Ericsson Prize, the UCLA Outstanding Teacher Award, the Lanchester Prize, the ACM SIGCOMM Award, the Sigma Xi Monie Ferst Award, the INFORMS Presidents Award, and the IEEE Harry Goode Award. He shared the Charles Stark Draper Prize for 2001 with Vinton Cerf, Robert Kahn, and Lawrence Roberts for their work on the ARPANET and Internet. He was selected to receive the prestigious National Medal of Science, from President George W. Bush in the White House on September 29, 2008.